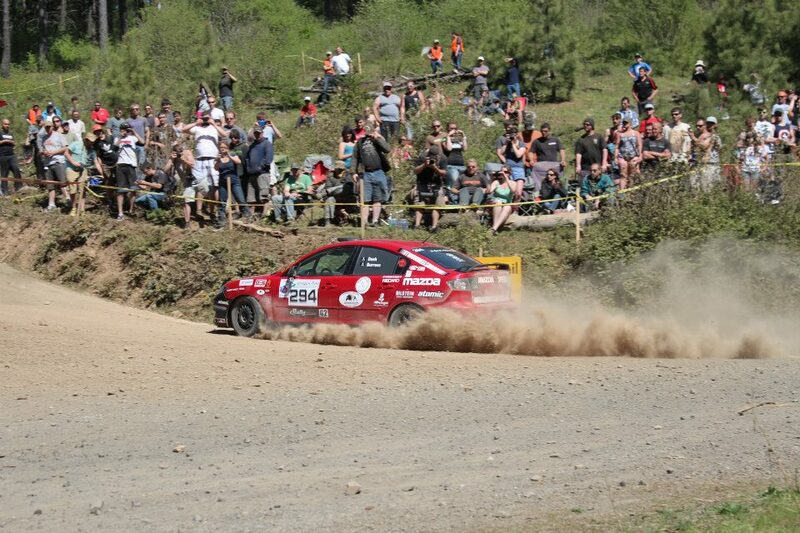 Entered the Oregon Trail Rally with Barrett Dash in the Mazda 3 and had a nice time out by Mt. Hood. First day we got some rhythm at PIR after a long day of recce on Thursday. Finished 6th in class. Second day we headed out to some proper stages and did much better, finishing 4th in class and a solid 17th overall, even after patching a small leak from a crack in the oil pan using a pretty awesome rally fix: soda can + JB Weld. Rough roads the next day bashed a much more successful hole in the oil pan, draining all the oil out on the first stage and the transit to the second stage. For some reason, Barrett thought it best not to blow up the engine, so day 3 ended early for us. A good time, nonetheless.